Courtesy of Keller Williams Indy Metro NE. Beautiful, one owner, custom built home in popular Harrison Ridge by Fort Harrison State Park. Lovingly cared for. 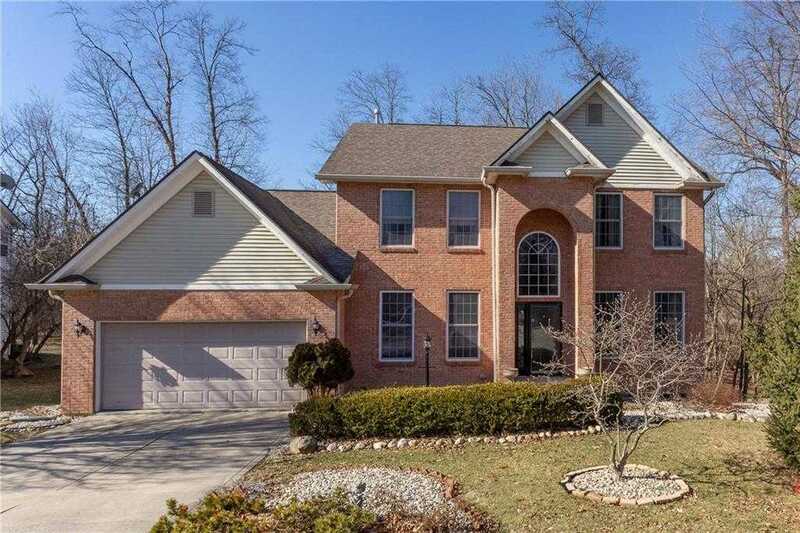 Boasts very large bedrooms, Thomasville kitchen cabinets and huge walk out basement. Kitchen has a big island with tons of space for the chef in your family. It’s open to the cozy family room with fireplace. Two story foyer leads to the formal living room which flows into the dining room. Perfect for entertaining and that’s before you head down to the finished basement! Home office with floor to ceiling built in bookshelves on the main. Love the wooded setting with multi-level decks on .29 acres. 9′ ceilings throughout give a very spacious feel. New AC and dishwasher in 2018. New carpet, paint in basement. Don’t delay! Please, send me more information on this property: MLS# 21617771 – $299,500 – 6458 Harrison Ridge Boulevard, Indianapolis, IN 46236. I would like to schedule a private showing for this property: MLS# 21617771 – $299,500 – 6458 Harrison Ridge Boulevard, Indianapolis, IN 46236. © 2019 Angela Horner — One Great Realty. All Rights Reserved. IN DRE #24602 Real Estate Website Design powered by Home Junction. Copyright © 2019 Metropolitan Indianapolis Board of REALTORS®. All Rights Reserved.